And to All a Goodnight is an audacious glass of holiday cheer created by Tim Stookey at the Presidio Social Club in San Francisco. It is an excellent execution of concept; a spirit forward holiday nightcap with all the winter warmth and spice to calm the restless anticipation of Santa’s arrival. 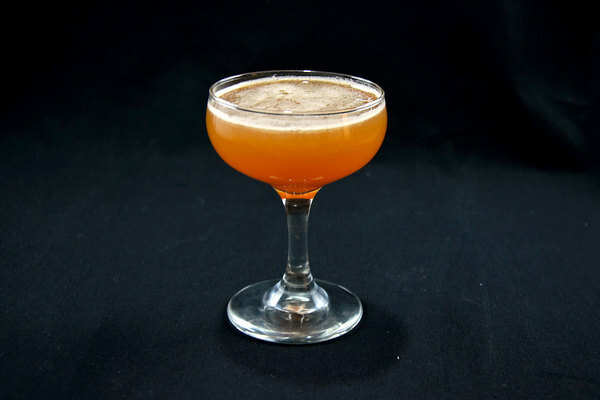 This cranberry toned gem embraces an unusual combination of base spirits: tequila and bourbon. 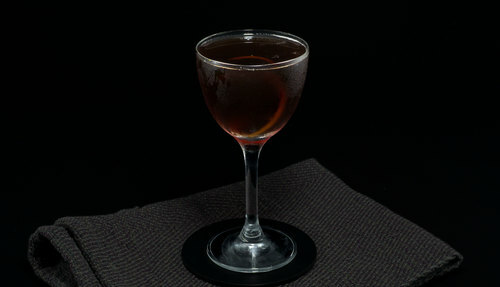 Tequila is an adventurous change from the holiday norm, and the result is sure to be embraced by any Manhattan lovers in your party. For a drink with substantial cherry heering, this drink is very dry. The orange bitters and aforementioned heering produce a fruit forward nose, and a sweetness that sits on the middle of the tongue. Tequila punctuates the finish and partners surprisingly well with bourbon for a whack of spice that compliments the large dosage of cherry nicely. It's a balancing act reminiscent of the Remember the Maine. 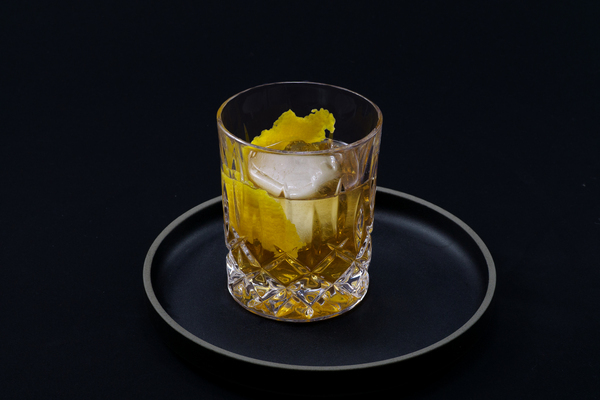 The orange peel garnish is not simply for aesthetics; its oils soften the bitters and base spirits. 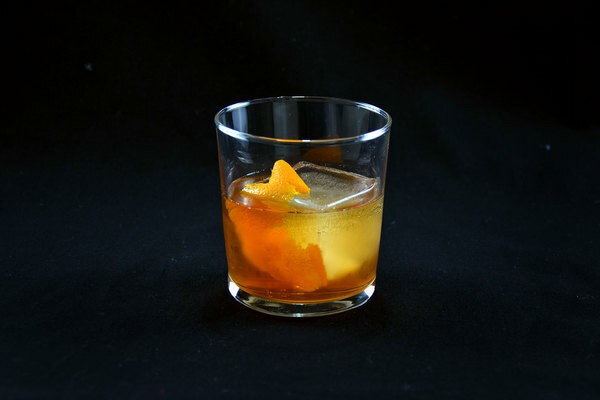 To further balance the drink’s spiciness, use a sweeter bourbon. We do recommend sticking with bourbon, rye will work, but requires additional heering. The recipe requests reposado tequila, but if you have anejo feel free to use it. This is the one time we request you be conservative with the bitters.